We want you to vote for your top aquatic retailers in the Practical Fishkeeping Readers’ Poll — and just by taking part, you could win a great prize! Great aquatic shops deserve your support — so if you know of a retailer who offers fabulous fish, first class customer service or has amazing staff, here’s your chance to shout about it and give something back for service that’s gone above and beyond the expected. Receiving a PFK Readers’ Poll award is the highest praise for an aquatic shop and retailers who have won awards in the past usually have their certificates proudly on display. 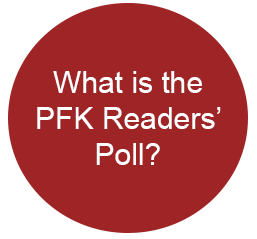 Every vote counts — and the result depends entirely on you, the PFK reader. It doesn’t matter if the shop you want to vote for is large or small, new or old. Wherever you are, your vote has as much weight as anyone else’s and is treated in the most democratic way. What you could win for casting your vote!